You style mavens know how much I love a good acronym, and today I am unveiling a new one in order to celebrate one of my favorite trends for fall (drum roll please). If you haven’t added the PPJ to your current list of fall items, also known as the perfectly-printed jacket, than you are seriously missing out on some fashion-induced fun. Although the fall collections may have been missing a few essentials, brassieres being one of them , there was a plethora of prints on hand to give us minimalists something to think about. From Versace to Burberry and one of my personal favorites, Proenza Schouler, print is at the forefront of fashion this fall. I happen to be be enamored with the resurgence of Western wear and fringe, so when I spotted this particular PPJ, I immediately thought of Isabel Marant and how boring my closet full of monochrome blazers seemed to be. 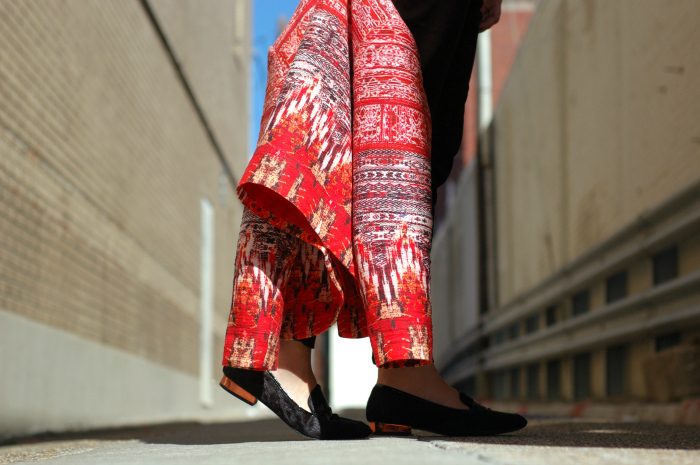 What is your favorite print trend for fall and spring? Great look! Love the loafers. 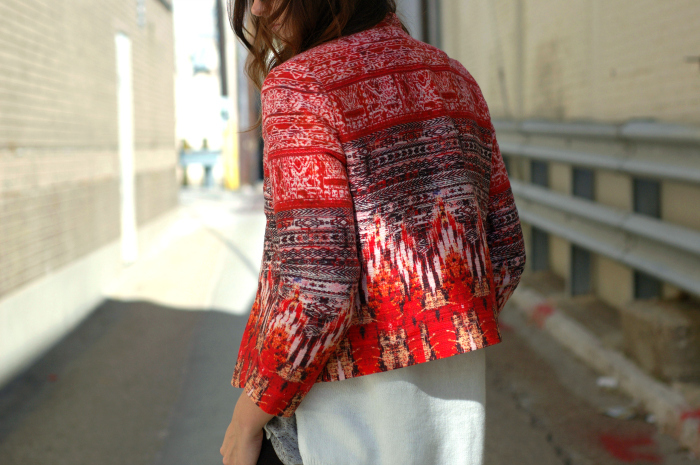 It is indeed a perfect print jacket! I can see that going with so many outfits. Nice pick! 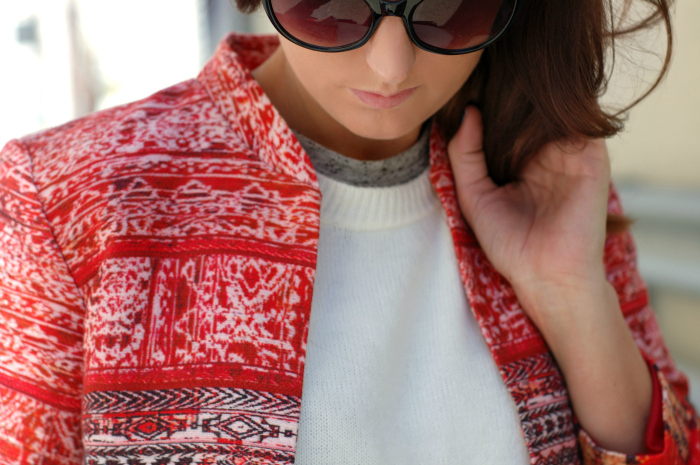 This really is the perfect printed jacket – once again, I love how you styled it!! Love this look! Such a gorgeous jacket. amazing blazer sooo pretty! xO! u look amazing my luv!! 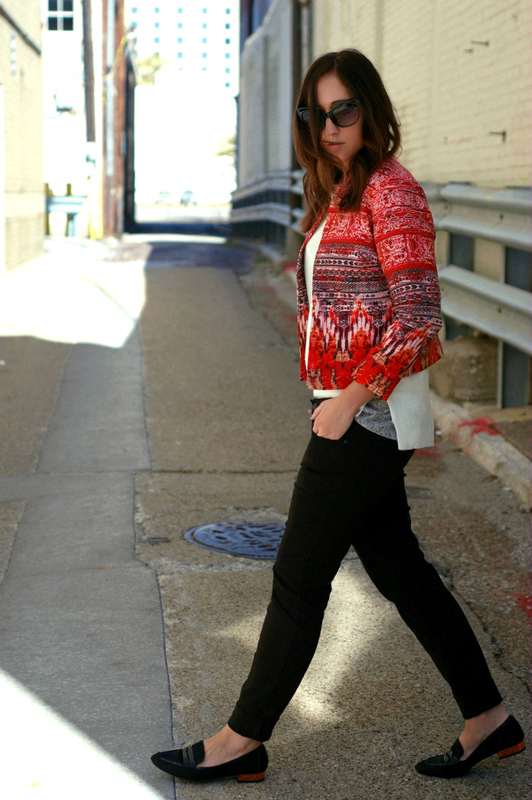 Love the jacket… and flats..
LOVING this jacket! Can’t believe it’s H&M! It’s gorgeous and you styled it so well! Love this look! That jacket is gorgeous and paired with the loafers is perfection. I definitely need to invest in a PPJ (love the acronym)! What an amazing jacket!! I absolutely love it!